For those of you not from California, the polar vortex has avoided our state. We have been without rain and without snow for months. Then, miraculously, it snowed. 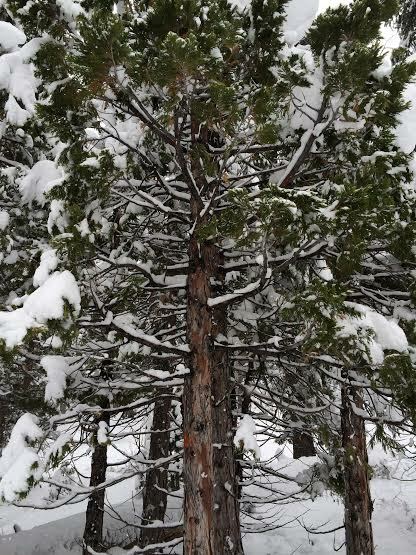 Last week snow blanketed Tahoe and made it an absolute paradise. 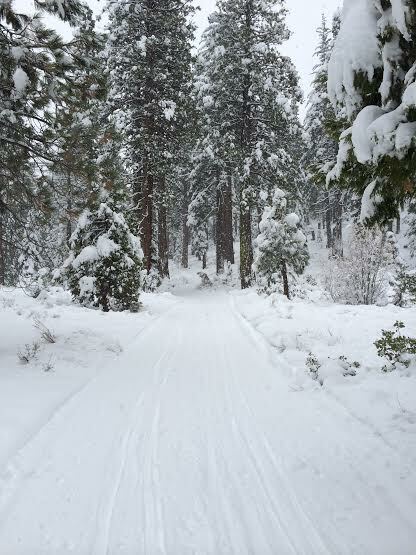 We went up, strapped on some cross-country skis, and enjoyed the winter wonderland. The snow was pristine on the south side of the lake was pristine. We skied along paths without a person in sight. The snow was falling heavily, getting caught in my hair and eyelashes and I couldn’t have been happier. For those of you who haven’t cross-country skied, you have to try it. It’s a way for you to get far away from roads out in the snow. You can feel the wind in your hair, feel like you’re flying, and enjoy winter weather… while it lasts. 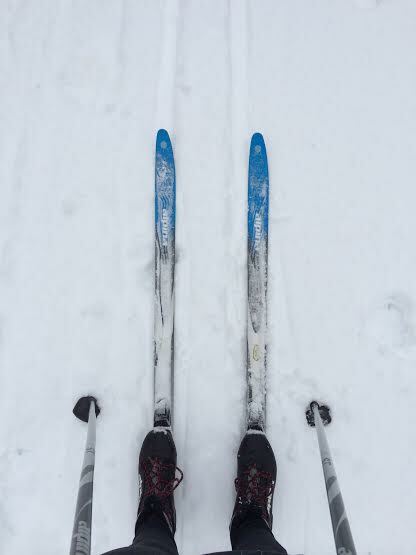 This entry was posted in Stuff we love and tagged cross-country skiing, outdoor, skiing, snow. I so wish it would snow in San Diego. On the other hand, we’re suffering from too much sun… drought! Ugh! Cross country skiing is so much fun. All the exercise without the heights of regular skiing!